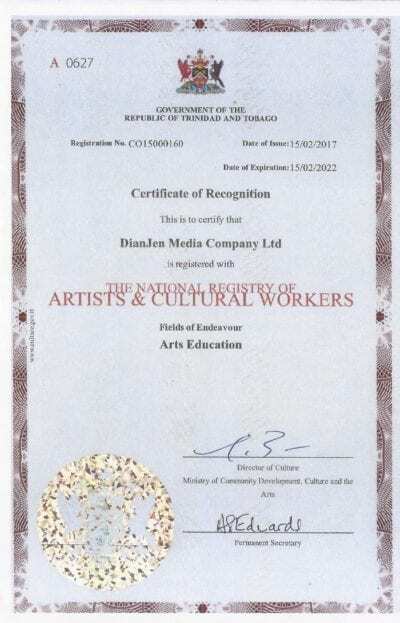 The Visions of Carifesta Cultural Camp is a partnership between DianJen and the Ministry of Community Development, Culture and the Arts. This year the camp focuses on teaching the history, performance techniques and theory behind the works of three local icons. We study the life and learn to perform the music of Ras Shorty I, the Story-telling traditions of Paul Keens Douglas and the artwork of Shalini Seereram! Expose of our Country’s youth to the techniques associated with performing indigenous cultural expressions. Foster an awareness of local traditions among young citizens. Showcase our young talent by providing an appropriate performance platform. The Cultural Theory and Performance module will focus on the history and rationale for the Carifesta Festival as well as the performance of the music of Ras Shorty I, artistic expressions of Shalini Seereram and Theatre works of Paul Keens Douglas. The Technology in Culture module on the other hand, will introduce students to the concepts of Live Sound Engineering for small bands, Jamoo Music Production and Disc Jockey (DJ) Techniques for indigenous music. 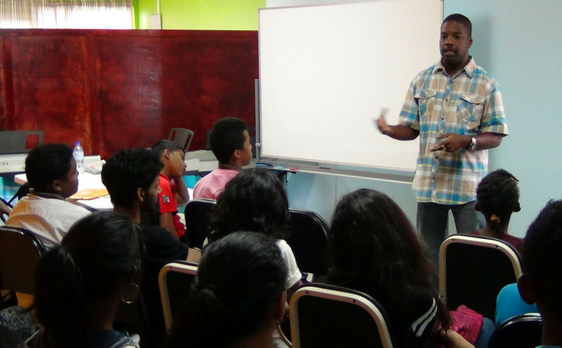 The Teen Personal Development module will focus on essential life-skills such as: Verbal Communication and Effective Speaking and Building Confidence and Rapport. At the end of the camp, participants will put on a production, showcasing the works done over the duration. The Cultural Camp is open to Secondary School students on vacation from School and takes place from July 16th to August 10th! Certification: A Certificate of Participation will be awarded to all participants completing the camp. To qualify for a certificate of participation, participants must attend at least 90% of the sessions, must be punctual and must participate in the Final Production! Spaces will be allocated on a first come, first served basis. Only 30 participants (15 per shift) will be accepted! Founded in 2012, DianJen (Dye-an-Jen) is a Music Industry Training, Production and Management Consulting Firm, based in Gasparillo, Trinidad and Tobago. The company was formed in response to the need for high quality training for stakeholders in the Caribbean Music and Entertainment Industry and to provide upcoming artists with recording and international promotional opportunities. 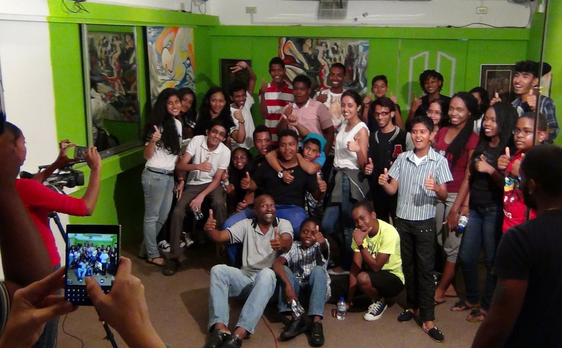 DianJen has a track record of excellence, working with hundreds of young persons and competently delivering several camps in partnership with the Ministry of Community Development, Culture and the Arts since 2013! The cultural camp is a partnership between DianJen and the Ministry of Community Development, Culture and the Arts. It is 100% free to participants! Would my child receive a certificate on completion? Yes! All participants completing the programme and activities receive a Certificate of Participation from DianJen. We have been conducting successful camps at DianJen since 2013! All our tutors are highly qualified and experienced in their fields. What is a Cultural Camp? 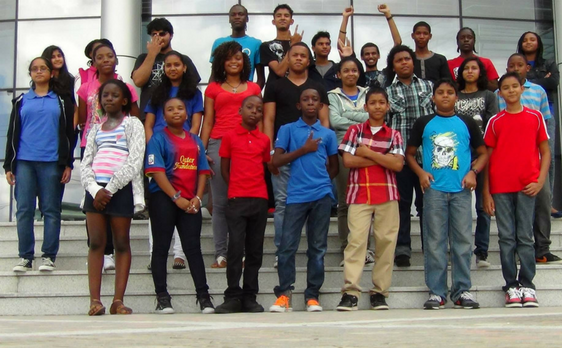 Cultural Camps is an initiative of the Ministry of Community Development Culture and the Arts which focus on shaping the cultural citizen of Trinidad and Tobago by teaching them basic artistic skills, and introducing them to aspects of our culture such as landscapes, festivals and personality. Additionally, the Cultural Camps specifically target children between the ages of 9-17 years old. The Camp takes place at DianJen Center from Music Industry Excellence– 27 Harmony Hall Road, Gasparillo. You may contact us at 790-3773 or 387-6108!